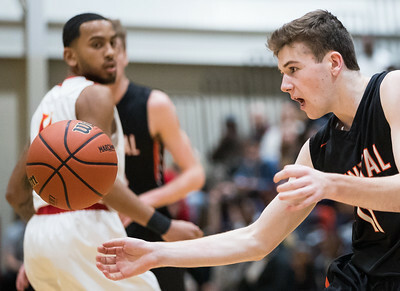 Whitney Rupp for Shaw Media Colton Haviland of Crystal Lake Central loses control of the ball in the second quarter of Friday’s Class 4A Regional Championship. The Tigers fell to the Jefferson J-Hawks 52-42. 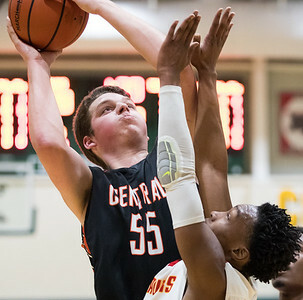 Whitney Rupp for Shaw Media Crystal Lake Central’s Will Welder shoots for 3 against Jefferson in the Class 4A Regional Championship game Friday at Crystal Lake South. 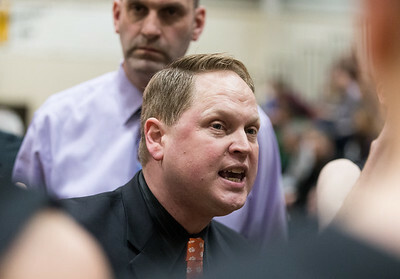 Whitney Rupp for Shaw Media Head coach of the Crystal Lake Central Tigers Rich Czeslawski directs his team during a timeout in the third quarter of the regional championship game Friday at Crystal Lake South. 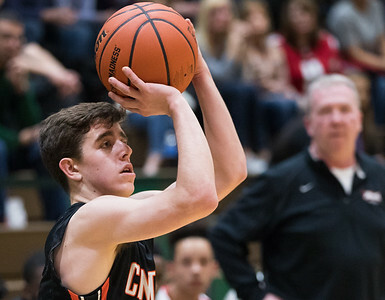 Whitney Rupp for Shaw Media Evan Cassell of Crystal Lake Central drives to the basket in the third quarter of Friday’s Class 4A Regional Championship game. 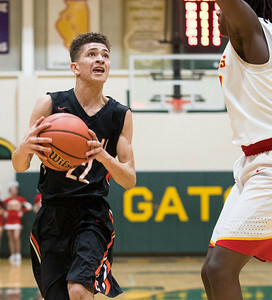 The Tigers fell to the J-Hawks 52-42. Whitney Rupp for Shaw Media Denota Dungey of Crystal Lake Central drives down the court while Jefferson’s MyQuion Garrett defends in the third quarter of Friday’s regional championship. 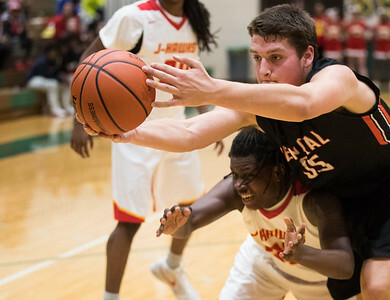 Whitney Rupp for Shaw Media Alex Timmerman of Crystal Lake Central stays out of reach of Jefferson’s Terry Ford Friday at the Class 4A Regional Championship game. Whitney Rupp for Shaw Media Crystal Lake Central’s Alex Timmerman fights to keep the ball in bounds alongside Jefferson’s MyQuion Garrett Friday at the Class 4A Regional Championship game. Whitney Rupp for Shaw Media Crystal Lake Central assistant coach Scott LeMoine, left, reacts to a Rockford Jefferson scoring drive late in the fourth quarter of the Class 4A Regional Championship Friday at Crystal Lake South High School. The Tigers fell 52-42 to the J-Hawks. 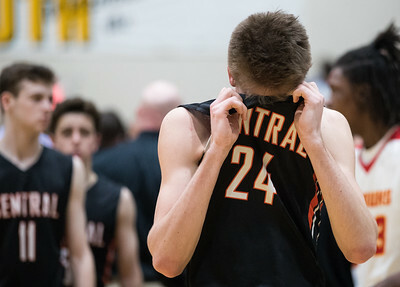 Whitney Rupp for Shaw Media Crystal Lake Central’s Evan Cassell reacts after the Tigers fell to the J-Hawks during Friday’s Class 4A Regional Championship. The Tigers finished the season at 17-11. 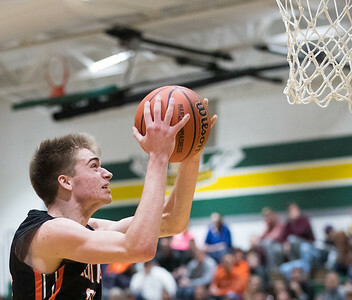 Alex Timmerman of Crystal Lake Central stays out of reach of Jefferson’s Terry Ford Friday at the Class 4A Regional Championship game.